It's always a pleasure to talk with Steve Jones, a British biochemist turned brewmaster for Oliver Breweries, a brewpub in Baltimore, Maryland, USA. It's especially so, over a pint of one his cask-conditioned ales. Recently, Jones was 50 miles south of his adopted home base, for a cask tapping at Public House No. 7, an English-themed pub, owned by a British ex-pat, in northern Virginia. The beer was Jones' cask-conditioned IronMan, a 6.4% alcohol-by-volume (abv) pale ale, which he had dry-hopped with Bramling Cross, a British hop varietal. He and I drank a couple of pints, and talked. For the last 11 years, Jones has pretty much been a one-man show at the downtown Baltimore brewpub at which he brews. Originally called the Wharf Rat, it's since been sold, refurbished, re-christened, and is thriving, as the Pratt Street Alehouse. The subterranean brewhouse is tiny, to be polite. When you see it, it's even the more surprising to regard the amount of beer that Jones puts out. When I asked him exactly how much he would be brewing this year, he laughed. Between beginning his brewing day at 5:30am, 5 days a week (and additional duties on the 6th day), promoting his beers —after brewing— at events in Maryland, Washington, D.C., and northern Virginia, and with a new son, he hasn't quite had the time to count the barrels. In fact, in April, he noted, he had brewed 23 times on his 8-barrel system. (Well, I suppose, we could do the math.) So, Jones noted with relief that's he's hired an assistant brewer, who's currently learning the ropes. I asked him why he had dry-hopped this cask of IronMan with Bramling Cross hops, while he had dry-hopped other IronMan casks with American Cascades. "It's whatever I feel like at the moment," he responded, either like a chef or a mad brewing chemist. In fact, later that evening, he contracted, on the spot, with a local homebrew shop owner who had stopped in for a pint, for the last of the store's Sorachi Ace, a rare Japanese hop. I remarked on the clarity of the pint I had just drawn from the firkin, "I use true top-cropping yeast in the fermenter and insinglass in the cask ," Jones explained. "Many US cask ale brewers don't, and their pints tend to be a bit cloudier." Isinglass relies on an electromagnetic charge and Stokes' Law to clarify a cask: we didn't get into that discussion. Jones confirmed that he will be participating at the Northern Virginia Summer Brewfest in June, bringing only casks, and many of them. Somehow Jones still finds the time to be very active on social-media, putting many other larger craft breweries and craft-savy pubs —with marketing staffs— to shame. Follow him on Facebook; on Twitter @oliverales; and at his blog. The conversation turned to a more immediate event, this weekend's Spring Cask Ale Festival. 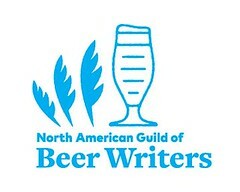 In the mid-1990s, the only American branch of the Britain-based Society for the Preservation of Beer From The Wood (SPBW) began sponsoring an October cask ale festival in Baltimore, Maryland. Later, seven years ago, the festival venue was moved to the Wharf Rat, now, the Pratt Street Alehouse. Then, last year, a second, smaller, festival was added in the spring, with 12 casks. This year, the number of casks has tripled to over 30. Participating from far afield, Oskar Blues, out of Colorado, is sending its Old Chubb 'Scotch Ale', infused in the cask with coconut. Farther afield, current 'extreme beer' fave Brew Dog, of Scotland, has sent a cask of Paradox Isle of Arran, a 10% abv, whisky cask aged Imperial Stout. Most of the casks, however, will have provenance closer to home: the flagship beers of mid-Atlantic breweries, tweaked with "interesting twists and turns." For example, Evolution Brewing, of Delaware, is sending a bacon-infused porter; Heavy Seas, of Baltimore, will be pouring a cask whose contents were fermented over toasted slats of Red Oak, White Oak, and Birch; Brewer’s Alley, of Frederick, Maryland, will be pouring an Oatmeal Stout ("a blend of 2/3 Oatmeal Stout aged in a Woodford Reserve Bourbon barrel for 3 weeks, and 1/3 'virgin' Oatmeal Stout"). Mr. Jones? He'll be pouring a cask of Hot Monkey Love Barleywine batch #2 2010 drawn directly from a oak barrel (aged 10 months), Pagan Porter brewed with vanilla beans, Draft Punk Beaujolais cask with juniper berries and honey, and a collaboration cask ale with Stillwater Artisinal Ales, dry hopped with Tettnanger hops. And, so it goes! Cask Ale grows in U.S.
More customers began to arrive at Public House No. 7, many of them members of the internet group DC-Beer, and, thus, there for the cask. Jones smiled. "There's been an explosion of cask ales in the US in the last decade," he said, "and especially in the past few years. Breweries, here, are taking cask ale much more seriously now. Rather than merely pulling un-carbonated beer out of a bright tank, they're doing it right, truly conditioning their beers in casks." I nodded, agreeing, as I took another sip of his cask ale. "It's good!" said Steve Jones. Jones discusses his education as a cask ale brewer in the U.K.: here. Jones named his Ironman Pale Ale in honor of Hall-of-Fame baseball player Cal Ripen, Jr., who, as a shortstop and third baseman for the Baltimore Orioles, played in 2,632 consecutive games, a record not likely to be broken anytime soon. See a slideshow of the event at Public House No. 7: here. Let's give credit where credit is due. 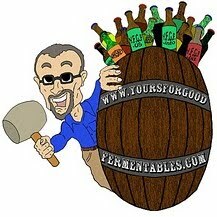 You and Steve have been HUGE in this recent cask beer explosion. From education to preaching it to the masses, you both have been key. Thanks, Brad. That's very kind. Cask ale, done right, is indeed a central tenet of my mission here at YFGF. To have so much good cask ale available on a regular basis, here, in the mid-Atlantic area, is indeed gratifying. And that's due to a growing number of people --publicans, cellarmen, brewers, writers (like you), and knowledgeable drinkers.